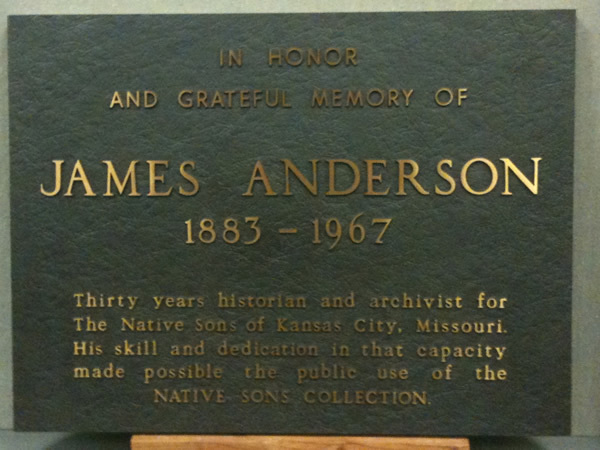 James B. Anderson was the first historian for the Native Sons and Daughters, and was influential in the Ft. Osage restoration effort. 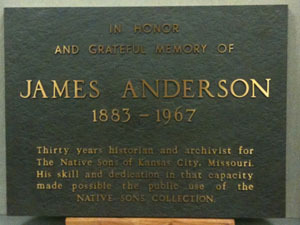 His historic document collections played a major role in the early collections of the Western Historical Manuscript Collection, on the campus of the University of Missouri-Kansas City, where this plaque is housed. Map and location of the WHMC.